I believe Jesus is Messiah, Yeshua, not merely the son of God, but God the Son, and the only way to God the Father, creator of the universe! 3 A voice of one calling: “In the desert prepare the way for the LORD; make straight in the wilderness a highway for our God. 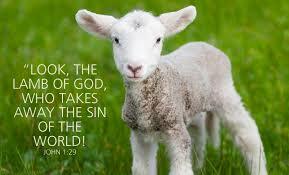 Jesus, Yeshua, is Messiah, the Word made flesh among us, God the Son. Isaiah, who lived about 2700 years ago, prophesied that there would come a time when God would arrive and heal the eyes of the blind, the ears of the deaf, the mobility of the lame, and the voice of the mute. 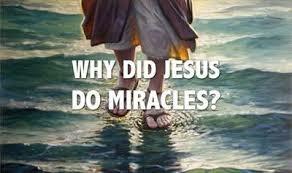 Jesus did each of these things in a spiritual sense, in offering truth and salvation, and in a literal sense by performing miracles of healing. ‘Father, we come to you through the precious blood of Jesus, and ask you Creator of Heaven and earth to touch us, now. Heal, deliver, and glorify your name’. He did send John the Baptist to prepare the way for THE WAY, Messiah, Yeshua, Lord Jesus, the only way to the Father. 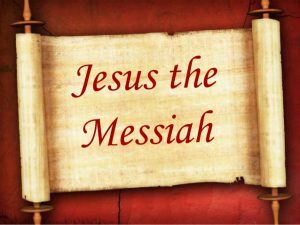 Why do I believe Jesus is Messiah, God the Son, the Way to our Father? Because I know Him, and He has come and saved me…. At this point during the ministry of Jesus, he had already been preaching the good news to the poor and he had already healed many people of various afflictions, including blindness, both in a physical sense and in a spiritual sense. I have met Jesus personally, and He is absolute truth. He cannot lie, He is holy. 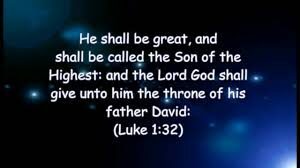 He, in this verse, said that He fulfilled this Scripture, that clearly refers to the coming of Messiah, stating He was and is, the fulfillment of the promise. In Zechariah 9:9, the prophet speaks of a future king presenting himself to Jerusalem while riding on a humble donkey. This foreshadowed something that happened about 500 years later. As explained in Luke 19:35-37, Jesus rode into Jerusalem on a donkey and presented himself as the Messiah, the King. The name “Jesus,” means “salvation” in Hebrew. 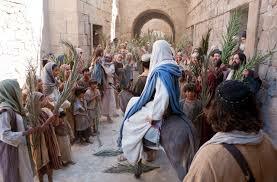 12 The next day, when the large crowd who had come to the Passover feast heard that Jesus was coming to Jerusalem, 13 they took branches of palm trees [in homage to Him as King] and went out to meet Him, and they began shouting and kept shouting “Hosanna! Blessed (celebrated, praised) is He who comes in the name of the Lord, even the King of Israel!” 14 And Jesus, finding a young donkey, sat on it; just as it is written [in Scripture], 15 “Do not fear, Daughter of Zion; Behold, Your King is coming, seated on a donkey’s colt.” 16 His disciples did not understand [the meaning of] these things at first; but when Jesus was glorified and exalted, they remembered that these things had been written about Him and had been done to Him. Last year as we hiked the mount of Olives, and stood at the top where Jesus bodily ascended into heaven with 500 eyewitnesses, the place where I believe He will come again and stand, to walk down through the Kidron valley, through the Eastern gate of Jerusalem, to stand upon the temple mount. Zechariah 12:10 “I will pour out on the house of David and on the people of Jerusalem, the Spirit of grace (unmerited favor) and supplication. And they will look at Me whom they have pierced; and they will mourn for Him as one mourns for an only son, and they will weep bitterly over Him as one who weeps bitterly over a firstborn. In Matthew 5:17, John 4:25-26, and in other verses, Jesus proclaims that he was the Messiah promised by the Old Testament prophets. Jesus remains the first and only person in history to be taken seriously by people throughout the world as being the Messiah that so many of the Bible’s prophets had prophesied about. 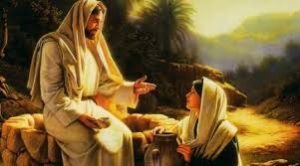 Remember the story of the woman at the well? In Isaiah 9:6-7, which was written about 700 years before the time of Jesus, the prophet Isaiah speaks of a son who would be called “Mighty God” and “Eternal Father.” Isaiah also indicates that this son would reign on the throne of King David and that this reign would be everlasting. King David is the great, God-obeying king who reigned from about 1050 BC to about 1010 BC. God had promised King David that the reign from David’s throne would be everlasting. Christians acknowledge that this promise is fulfilled in Jesus Christ, who is a descendant of King David, and whose reign is everlasting. Today, the teachings of Jesus govern the lives of as many as an estimated 2 billion Christians worldwide. The New Testament also says that Jesus will return in the future and that his kingdom will have no end. As I have said, Jesus was born of a virgin, the egg was human, the seed that impregnated Mary, divine. He is fully God and fully man, God the Son. John 1:1 In the beginning [before all time] was the Word ([a]Christ), and the Word was with God, and [b]the Word was God Himself. 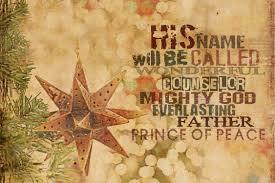 2 He was [continually existing] in the beginning [co-eternally] with God. 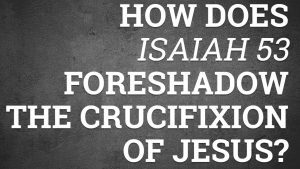 In Isaiah 52:13-53:12, the prophet foreshadowed the life and mission of Jesus, who was born about 700 years later. In Isaiah 53:3, the prophet said that a servant of God would be rejected and despised. 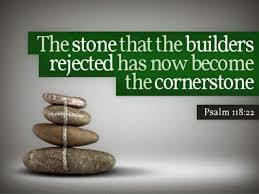 Jesus was indeed rejected by many people living in the land of Israel, and He was later crucified by the Romans. “Our Rabbis with one voice accept and affirm the opinion that the prophet is speaking of the King Messiah, and we shall ourselves also adhere to the same view.” – Rabbi Moshe Alshekh, 16th century. “But he was wounded for our transgressions, bruised for our iniquities, the meaning of which is that since the Messiah bears our iniquities which produce the effect of his being bruised, it follows that whoso will not admit that the Messiah thus suffers for our iniquities, must endure and suffer for them himself.” – Rabbi Eliyyah de Vidas, who wrote during the 16th century. I have received Him, my Lord, my savior, and I have been adopted into the precious family of God – the eternal question then is this: Who is Jesus to you? Will you receive Him? Our Family version of the SabbathWhatsoever is not of faith is sin.